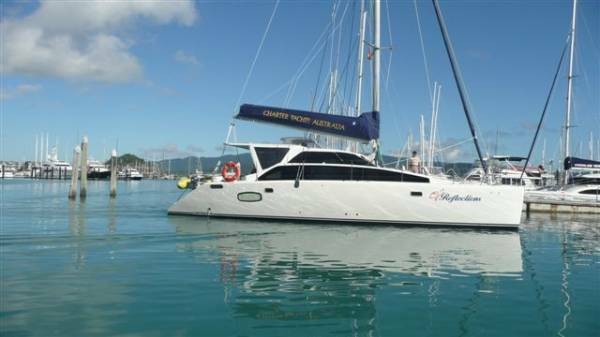 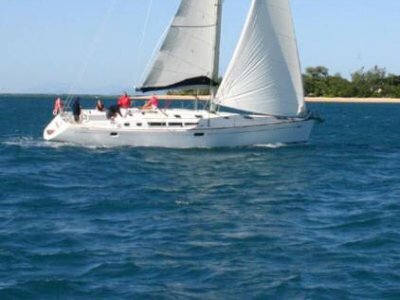 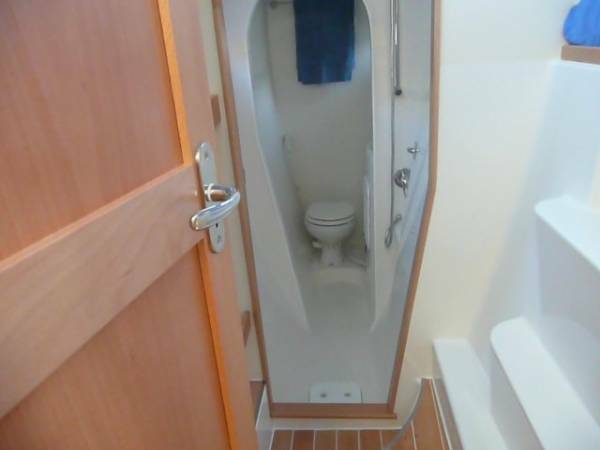 Built in Australia to suit our unique conditions this huge catamaran features 4 double cabins and 4 bathrooms. 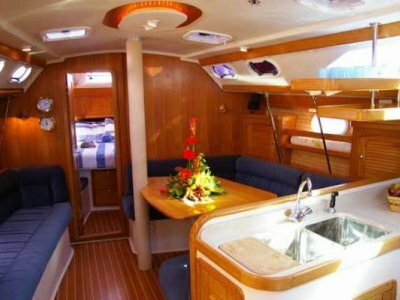 The galley is upstairs next to the saloon with lots of fridge and bench space and leads directly to the cockpit area to make entertaining a breeze. 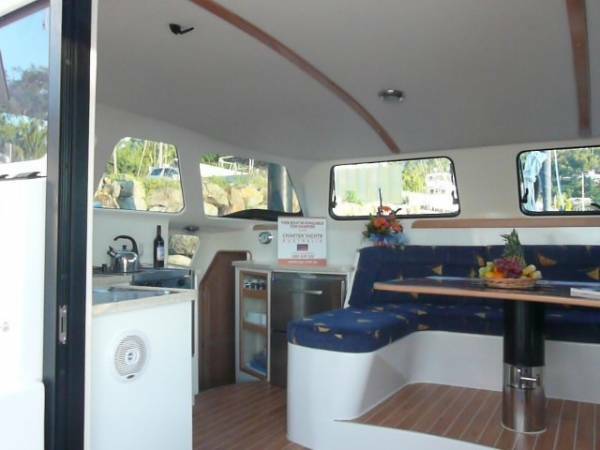 The cockpit provides a large outdoor dining and lounging area and also features the raised helm station, large BBQ and easy access to the water or dinghy from both transoms. 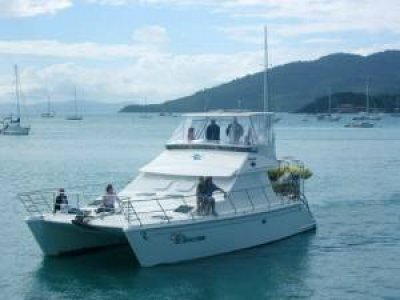 Sleeping up to 10 in comfort this is the perfect boat for families or large groups.